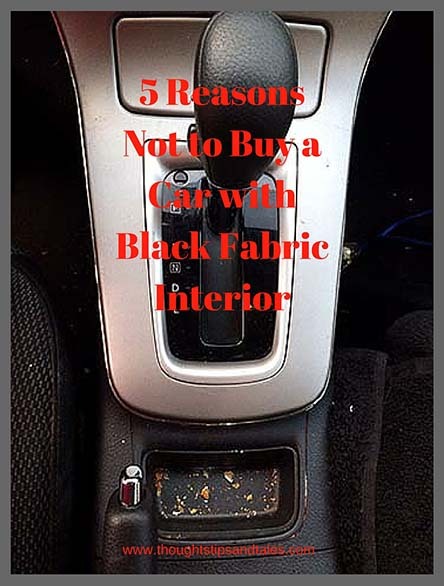 Here are 5 reasons not to buy a car with black fabric interior. I had a grueling experience buying my current car — and learned a lot of things the hard way. However, the payoff was that the price after rebates was only $500 more than I paid in 2003 when I bought my previous new Sentra from a local showroom! Amazing. The dealership was offering this deal on new Sentras last year and by the time I finally got a salesman to wait on me (after making three separate trips to the dealership and being ignored in the crowd), there was only one vehicle on the lot left at that price. The car’s exterior was nondescript silver — not my first choice, but it was all about the money. Since I always name my cars, I later named it Silvia — the winning entry on my “name my new car” blog contest. The flaws of black fabric soon became quite apparent. 1) Every speck, smudge and crumb shows. In fact, it’s like a giant magnifying glass is focused on them. 2) The fabric interior looks cheap. 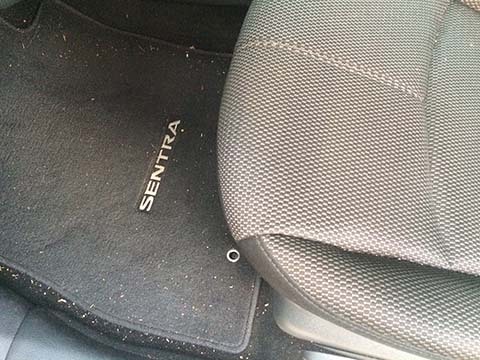 3) The seats and floor mats look dirty all the time. Had to resort to putting a black towel across both front seats and shaking it out often. 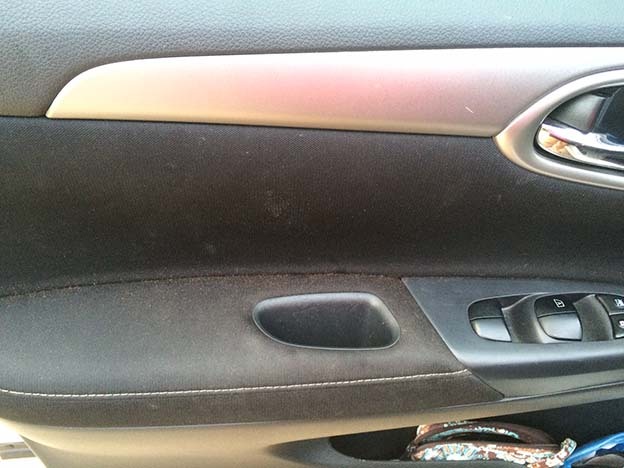 4) The black fabric — especially on the doors, which gets filthy — is very hard to clean. 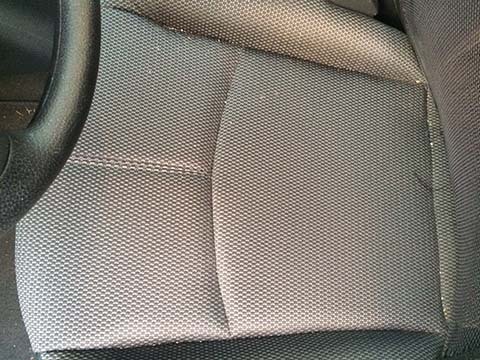 Plain water seems to work better than various types of household cleansers and carpet cleaners, but I wonder what the fabric door and seat covers will look like in 12 years (average time I keep a car) after the constant clean-ups? My guess is pilled and faded. 5) When it’s 90+ degrees (as it is so often in South Carolina), the car gets hotter than blue blazes sitting in direct sunlight in a parking lot. There are, no doubt, more compelling reasons not to choose black fabric car interiors, but there’s no time to list them. I have to go clean my car. Doesn’t Everyone Name Their Car? This entry was posted in car, life, miscellaneous, Nissan and tagged car with black fabric interior, don't buy a car with black fabric interior, problems with cars with black fabric interior, reasons not to buy a car with black fabric interior. Bookmark the permalink. I always get Civics, and when I went to get my last one, it was the end of the 2013s. They didn’t have many left, but I remember the salesman wouldn’t sell me one with a black interior! He told me I didn’t want that, and you have spelled out why! What a great salesman! You’re lucky. I have black interior too and I’d have to agree. It’s so hard keeping it clean and yes it’s gets so hot!